Do you still worry about having a short talk time for intercom? To bring long-distance travel unpleasant and feel distressed? 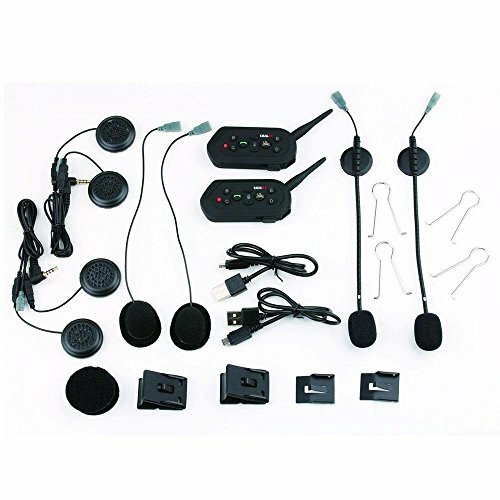 Ok,click here--Up to 10 hours talk time, 1300m E6 bluetooth intercom headset will solve your current problems and Make your journey more colorful. 10.Memory pairing.No need to pair again every time. 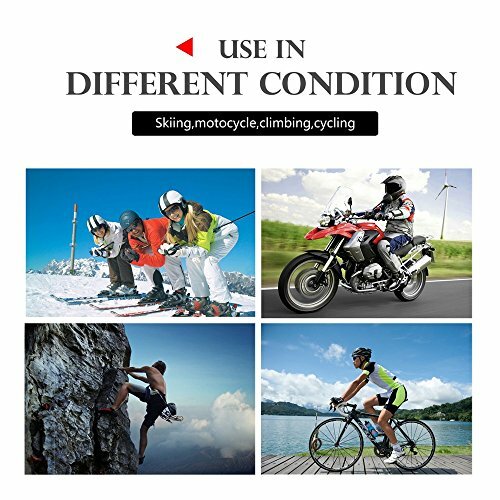 Warning: During the riding, any changing the seting of this product, cellphone pairing operation is prohibited in order to avoid any traffic accidents. 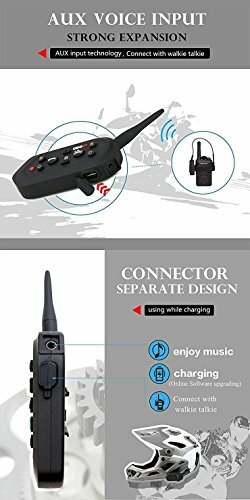 ❤EASY TO USE :E6 interphone is more compact than v6. VOX voice wake-up start, no buttons, automatically receive the phone, so that is more secure. 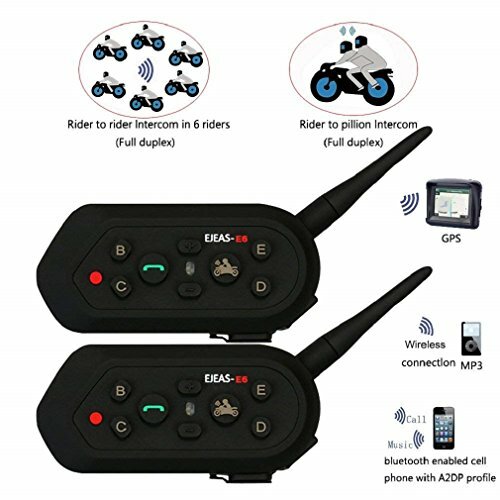 The latest Bluetooth technology, low power, up to 10 hours of talk time, standby 200 hours. 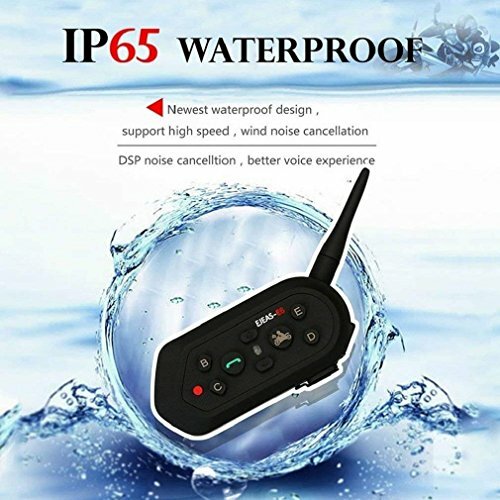 ❤SUPER PERFORMANCE and HD SOUND QUALITY : ultrasonic stamping and sealing technology, so that more waterproof, and high speed---up to 120km/h of the work speed, better windproof, the new enhanced anti-noise, so you in high-power stereo high-definition sound headphones really experience the enjoyment of music. 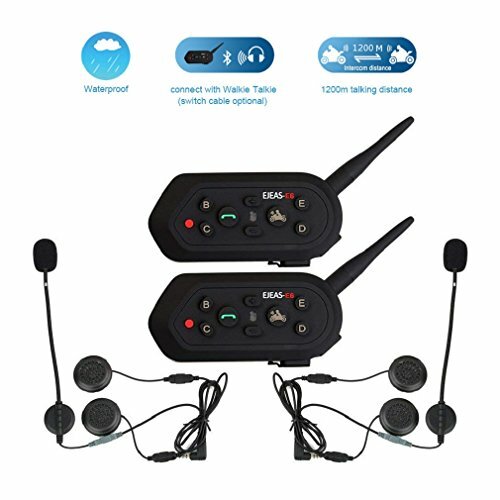 ❤WIDE COMPATIBILITY : E6 Bluetooth walkie-talkie allows the driver to wirelessly make mobile calls, Bluetooth 3.0 connection to listen to stereo or MP3 player music or audio instructions GPS navigation support. 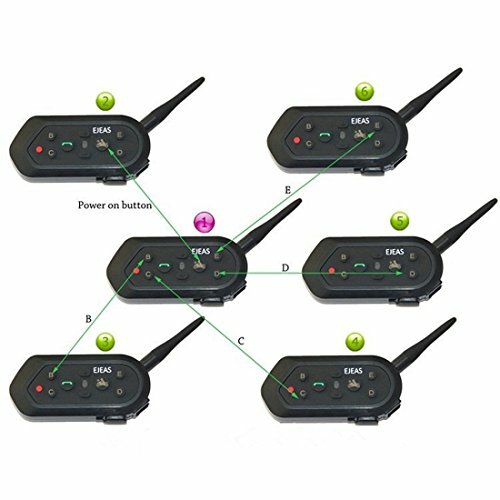 ❤MULTI-PERSON INTERCOM : 2 at the same time full-duplex real-time intercom, the host can be achieved with the other five sub-machine switch connection calls, 8 seconds is not operating, E6 will automatically answer, or ring 5 seconds, press the phone key Can reject calls. If you have any questions about this product by ESoku, contact us by completing and submitting the form below. If you are looking for a specif part number, please include it with your message.